are currently 625 pupils in the school. What are some of the main IT challenges you faced pre NetSupport School? The main challenge for us was the divide between the two school buildings. There’s about a quarter of a mile distance between them, so it took a considerable amount of legwork to keep going to each one every time there was a problem to resolve issues. It was extremely time-consuming. How has NetSupport School helped with that? We use the NetSupport School Tech Console every day to manage the school’s 200 devices. It makes things so much easier! Once all the clients were installed, we were really impressed with how much time it saved us. We can remote onto different devices and pretty much resolve the majority of the issues there and then. NetSupport School is always consistent and it does work rather well! What are the main benefits of the Tech Console for technicians? One of the biggest benefits is that it’s AD integrated and you can delegate permissions to teachers to change usernames or passwords. That has saved us a considerable amount of work. This also empowers the teachers, as they can quickly reset the pupil’s details and carry on with their lesson with minimal disruption. We love NetSupport School’s speed and how fast we can resolve things when there are errors. It’s so easy to just jump onto the Tech Console and fix it in no time at all. How does NetSupport School compare to previous solutions the school has used? It is so much better that our previous solution. It just works! And that’s what’s important in a busy school environment. What do other technicians in the school think of NetSupport School in terms of usability? Technicians find it very intuitive and easy to use. One of the things we’re grateful for is that it contains all the tools we really need and isn’t overcomplicated by unnecessary features. Really good! The Support team has been extremely helpful. 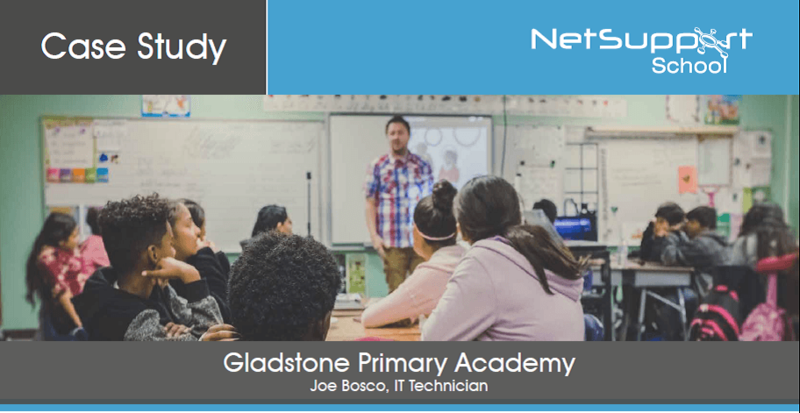 How do you see NetSupport School supporting the school’s IT into the future? There are some features that we would like to investigate further as we use the product more fully. We see NetSupport School being a fixture in our school for some considerable time to come!